Marcy Schaaf , Founder and Executive Director, SaveABunny, Inc.
A House Rabbit Society member and long-time Whole Foods shareholder traveled 800 miles to attend the annual Whole Foods Market Shareholders Meeting in Charlotte, NC today to speak on behalf of the bunnies being killed for the grocery chain’s meat case. She does not consider herself an activist, but felt strongly that the shareholders meeting would be an integral outlet to bring up her concerns as both an investor in the company as well as a lover of pets. 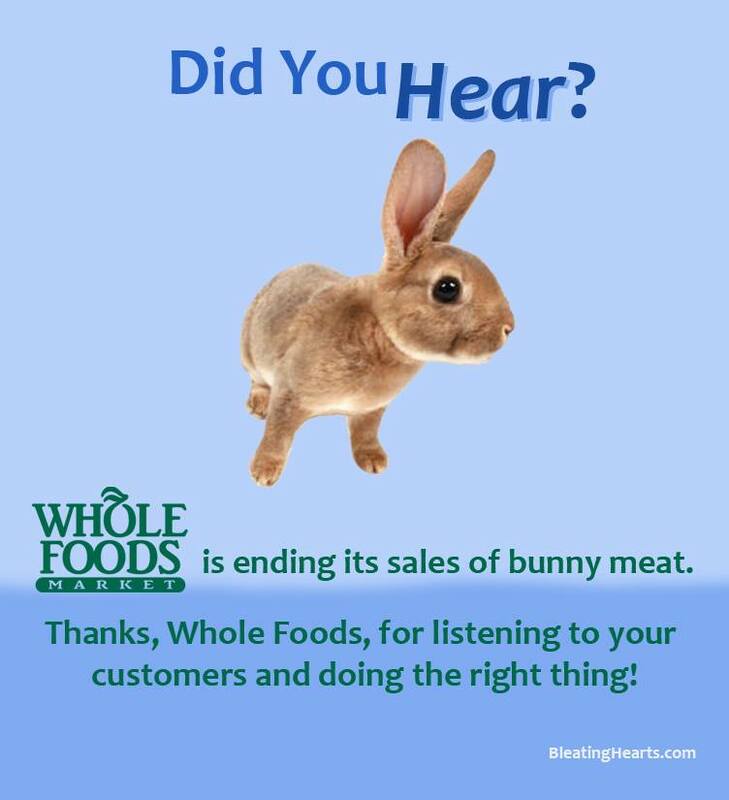 After her heartfelt plea to the Whole Foods leadership team, she was told by Whole Foods’ Chief Operating Officer, A.C. Gallo, that Whole Foods had decided to cease the sales of all rabbits by the end of 2015. According to the 2012 American Pet Products Association (APPA) Pet Owners Survey, 2.5 million households now live with rabbits, who are now the nation’s third most popular (behind cats and dogs) furry pet. Their 2009-2010 survey found that 6,678,000 rabbits were kept as pets in the United States in 2010, and that number continues to increase. 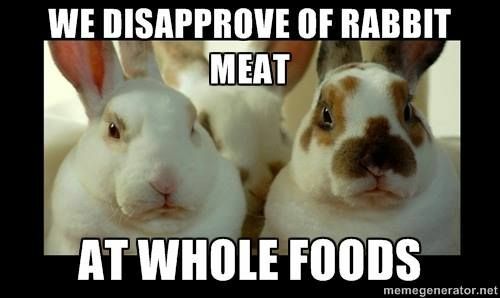 Click here to read Whole Foods’ statement.